From the beginner to the experienced shooter, we have a class for everyone. Check out our class pages and make sure to reserve your spot today, because our classes fill up fast. 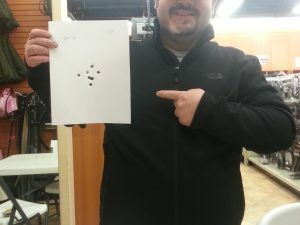 Want to apply for your Michigan concealed pistol license? This is the class for you! Learn firearm safety and all the required lessons to get you ready to apply for your concealed pistol license. Learn how different types of guns work, but more importantly how to safely be around and handle guns. What’s the proper etiquette for being around guns? How do you know when they’re loaded? Learn that and more.